Mike shows some simple voicings on the electric guitar to create more dynamics and sound in your band. A.) Place your pinky down on 8th fret to get the “C” chord resonance. B.) Bar with your pinky on 10th fret to get the “D” chord resonance. C.) Lower your pinky to get the “G” sound. 2.) Practice a song that you know has these chords using these new formations. A.) 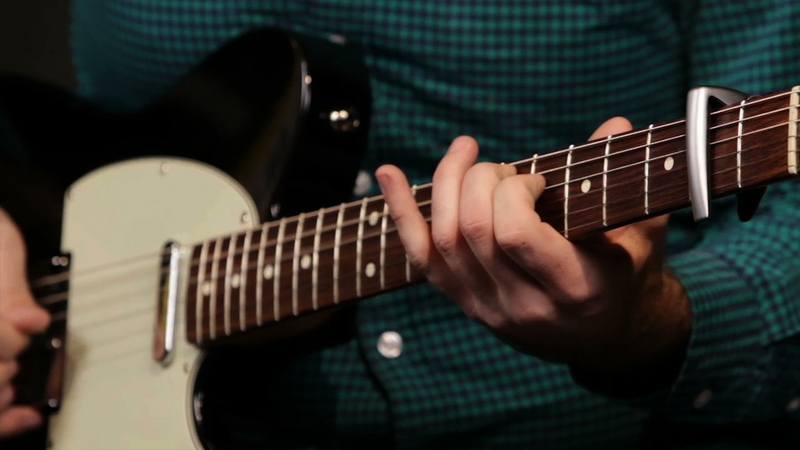 Create guitar melodies using these finger formations. 3.) Practice that same song using the open bar technique. A.) Combine both fingerings for this song. 4.) Using the open bar technique, learn the intro to ‘Deep Cries Out’.